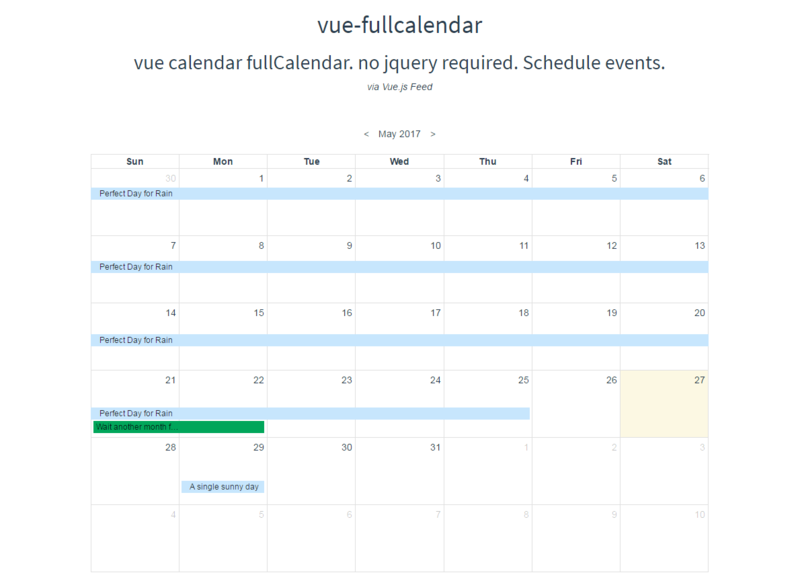 Grab the Vue fullCalendar component to display an event calendar & navigate between months, inspired by fullCalendar.io but not cloned by it. 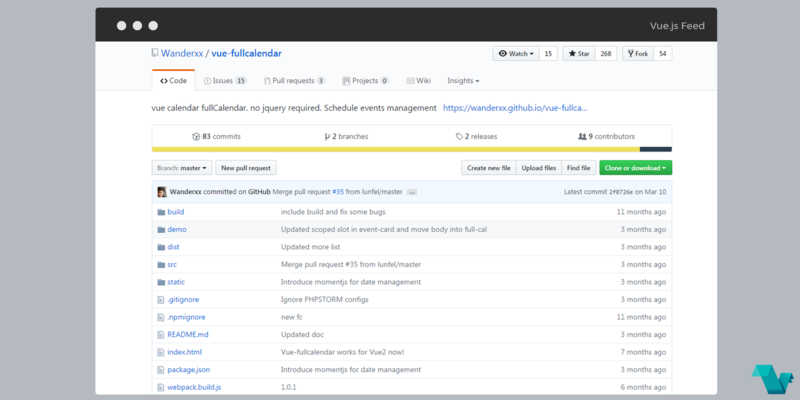 No Jquery or fullCalendar.js is required, though currently, It only supports month view. To take a further look at the docs & understand how things work, visit its GitHub repository.